We still have to wait until March before we get the chance to see the new Uruguay kit in action. The kit’s first outing will take place in the China Cup, held in the famous Chinese province of ‘Wales’, Great Britain. 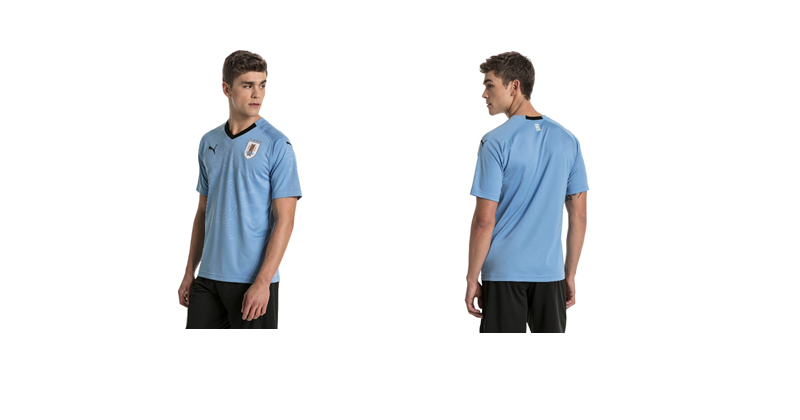 The new range of Puma World Cup kits have all been designed with a subtle iconic design on the front of the jersey. The Uruguay kit features a striking interpretation of the Sol de Mayo, inspired by Carlos Peaz Vilaro’s illustration of the iconic symbol. The Sol de Mayo (Sun of May) is the national emblem of Argentina and Uruguay and appears on both of their flags- the design reflects the passion of the fans as well as the nation through the image of the burning sun. The Sol de Mayo is a powerful image to motivate players and fans alike as they face the biggest teams on the world’s biggest stage… as if Suarez and co. needed any extra motivation! The shirt includes a few more subtler details, including a slight nod to the National Pavilion underneath the back of the collar. We’ve seen already from earlier World Cup releases the use of inscriptions in the design. These are less of a blink-and-you’ll-miss-it-feature; more of a knowing it’s there puts the fire of passion in your belly. 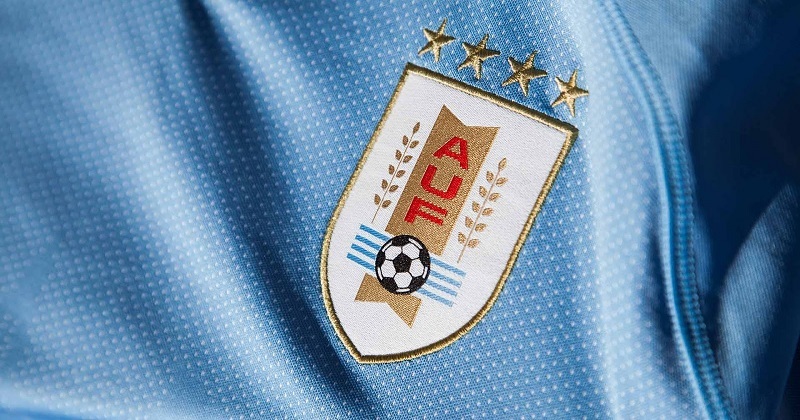 The Uruguay kit has the inscription ‘La Celeste’ (The Light Blues) embroidered inside the sleeve; and the hashtag #ELEQUIPOQUENOSUNE (The team that unites us) embroidered on the underside of the bottom of the shirt. PUMA’s highly developed evoKNIT Thermoregulation technology, enhanced moisture management and adaptive cooling system helps create the perfect on-pitch temperature regulator. Seamless construction means the jersey is the ultimate fit whilst providing optimum mobility and performance. 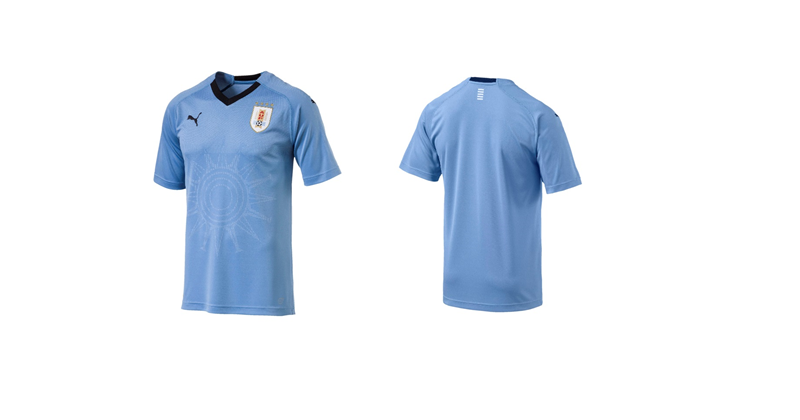 You can get your hands on the new Uruguay kit and other international football kits for the best price at FOOTY.COM.